On the afternoon of March 22nd, the small stadium of the North Campus was full of people, extraordinarily bustling and the cheers came one after another. With the wonderful smash of the players on the finals, the 2019 student badminton team competition ended. Athletes from 21 colleges of the university participated in the competition. After a four-day intense competition, College of Economics and Management won the championship, College of Veterinary Medicine and College of Water Resources and Architectural Engineering won the runner-up and the second runner-up.College of Humanities,College of International Education,College of Food Science and Engineering,College of Animal Science and Technology and Department of Foreign Languages won the fourth to eighth places. College of Mechanical and Electronic Engineering,College of Sciences , College of Information Engineering and Department of Foreign Languages have won the Sports Ethics Award. 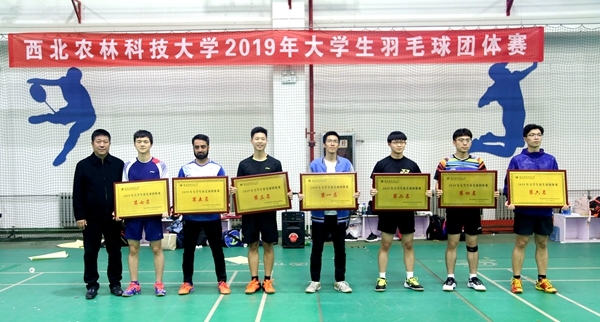 Li Jiaqi from College of Economics and Management and Yuan Yang from College of Veterinary Medicine won the title of the most valuable athlete in this competition. Badminton has become the first choice of daily exercise and entertainment for students in NWAFU with a large number of participants. 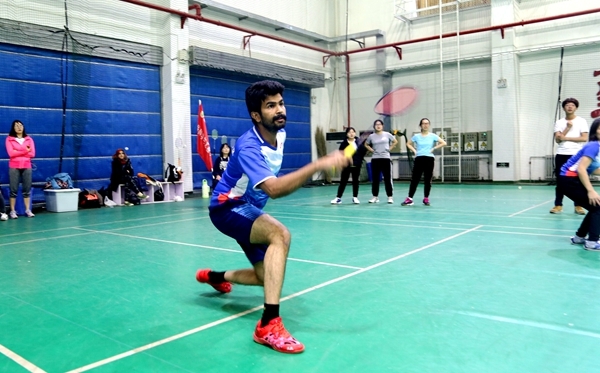 Every afternoon and evening, athletes are active in the badminton courts everywhere.NWAFU student badminton team has made great achievements in the national and provincial competitions in recent years. Through this competition, students exchanged skills and enhanced their feelings. At the same time, it also selected players for our university badminton team and reserved backup forces.